We find inspiration for our blog from everything around us – magazines, colorful patterns, Pinterest, blogs, people, nature and fashion. Sometimes an idea for a future project and party comes to us late at night when we can’t sleep. Other times, we are brainstorming out loud. 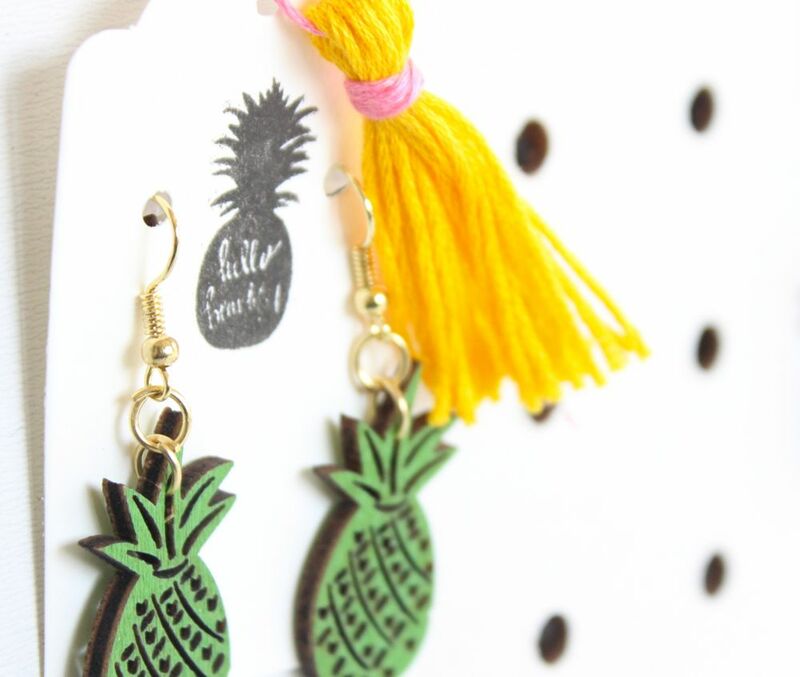 The idea for these adorable DIY pineapple earrings came to us while perusing the aisles of Pier 1 Imports (one of our fave home stores). 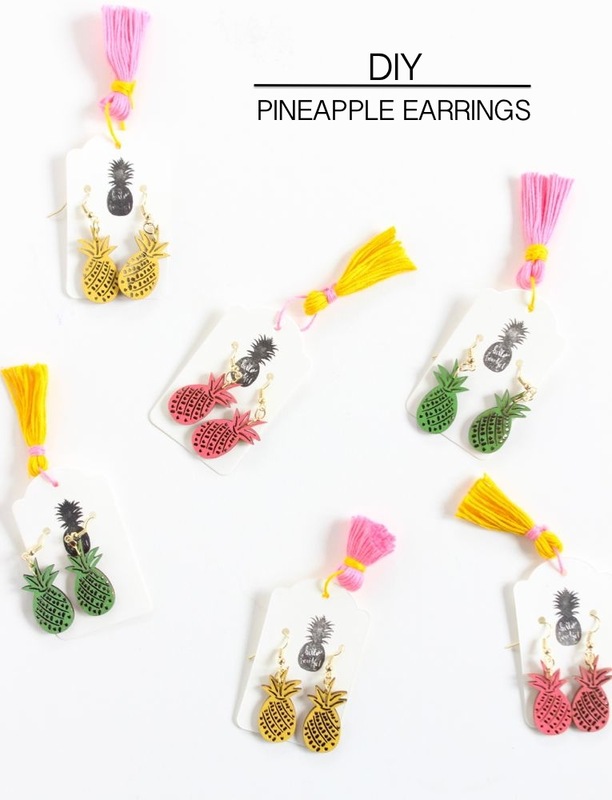 We stood in front of a tropical themed tablescape looking at tiny pineapple table confetti. 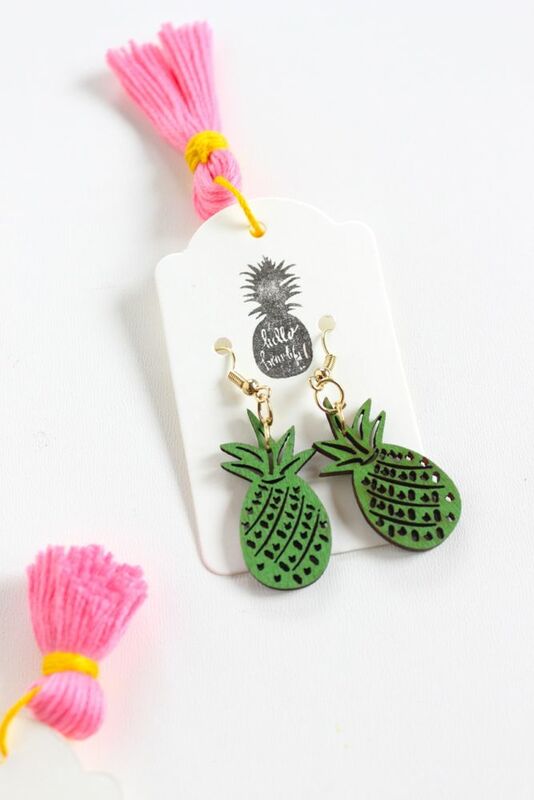 Instead of seeing it for what it was, we saw the tiny fruit die-cuts as DIY earrings. We call it our confetti hack. 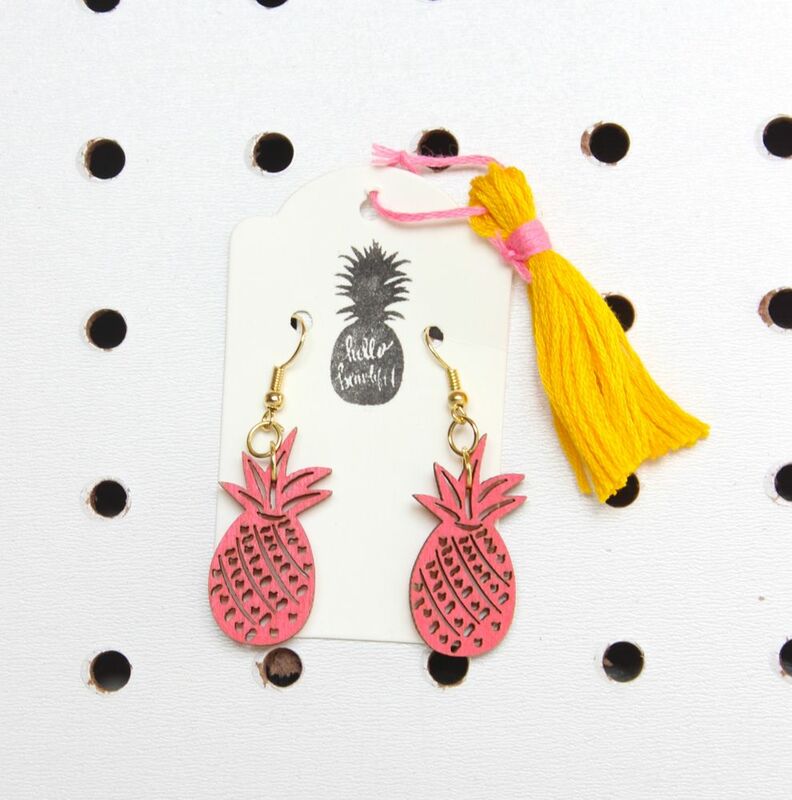 We love pineapples, we crave piña coladas on the beach (our favorite vacation drink growing up was virgin piña colada’s and strawberry daiquiri’s) and we love a good DIY. 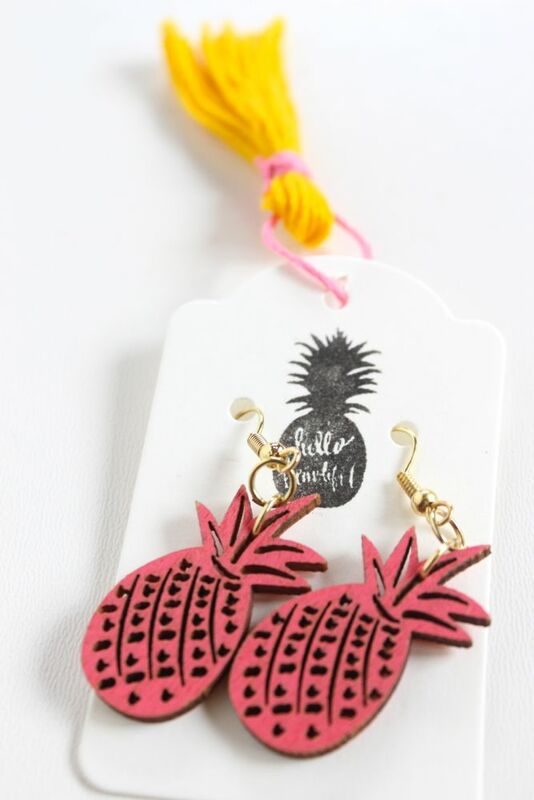 So, this was a really fun pineapple project to work on. 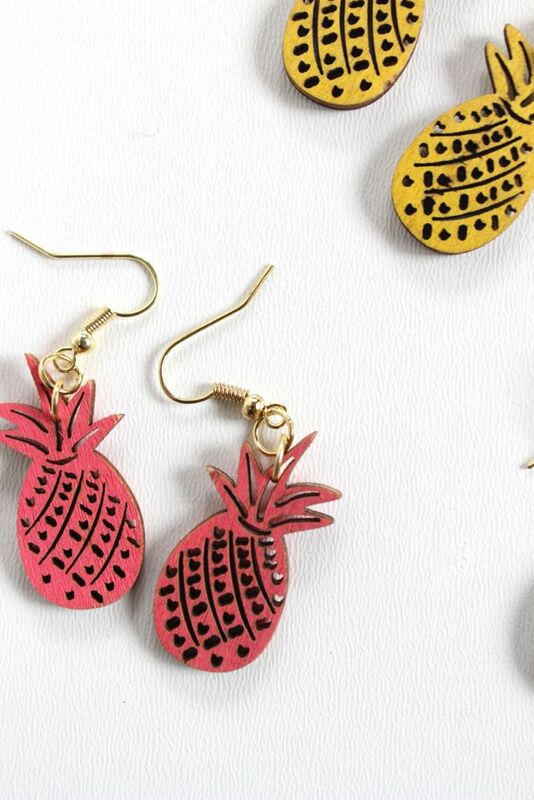 These DIY earrings would make for lovely gifts for girlfriends and mom (Mother’s Day is coming up, y’all). Use the pliers to open two earring jump rings. 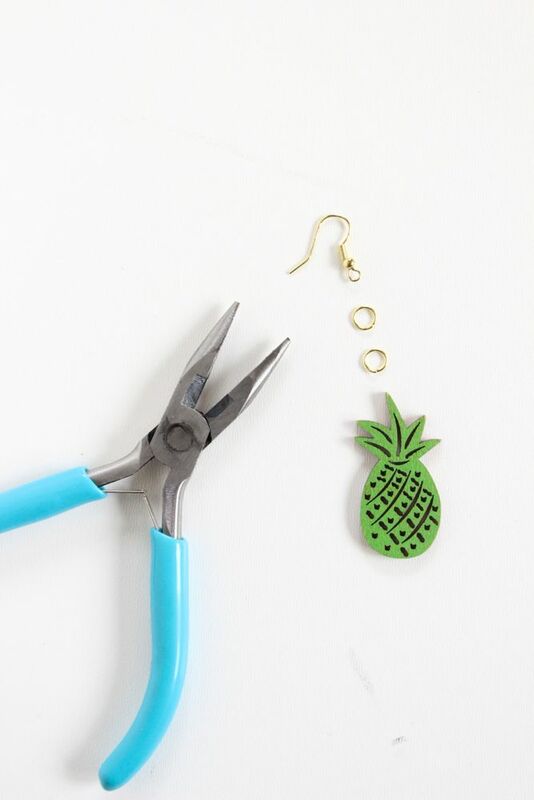 One will go in the middle largest opening in the top of the pineapple, and the other will attach to the first ring and the earring wire hoops. Use the pliers to close the rings. The pineapples are thin, so be gentle with them. If you want to present them in a cute way, use a small hole punch to punch two holes in a card stock tag. Insert the earrings through the holes and add the safety backs. 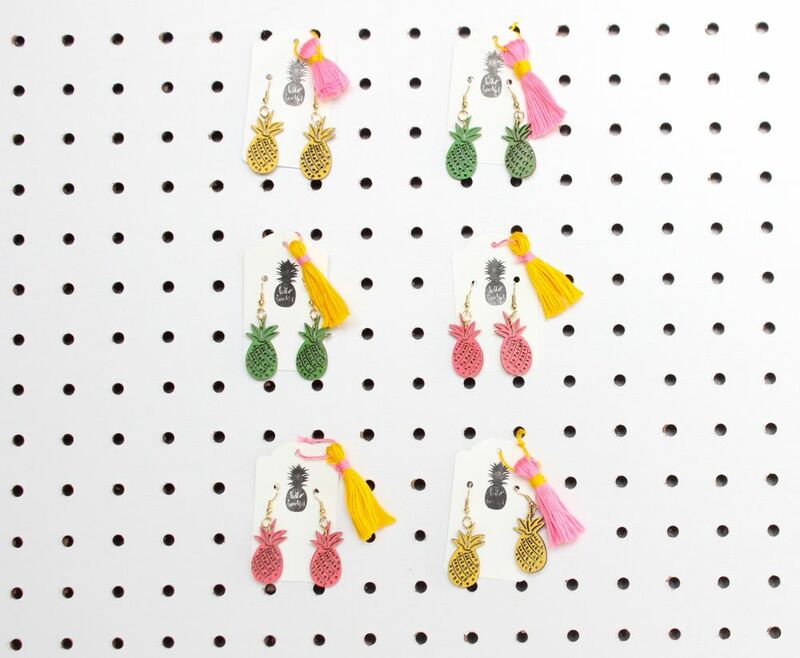 A tassel makes everything cuter, so we attached a colorful tassel. 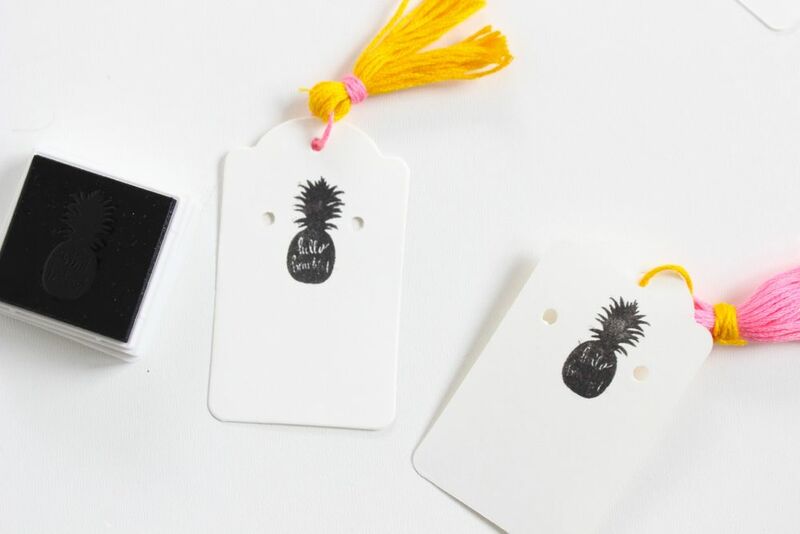 Finally, add a custom touch with a hello beautiful pineapple stamp. We made the stamp with our Silhouette Mint, which is so easy and fun to use. We can a little stamp happy each time we use it.